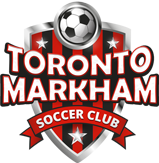 The 15th season of the Maple Leaf Soccer Club kicked off in May at the Wexford Hydro fields at Eglinton/Pharmacy with a total of 10 teams grouped in one Division. The majority of teams were returning from our 2016 season including the reigning Division A playoff champions Remy Boyz, Division A regular season champions Super Eagles and Division B playoff champions We Dem Boys. There were a few new teams joining us for the first time – Indomitable Lions, Red Knights, and the Young Boys – setting up a fresh new dynamic to start the season. 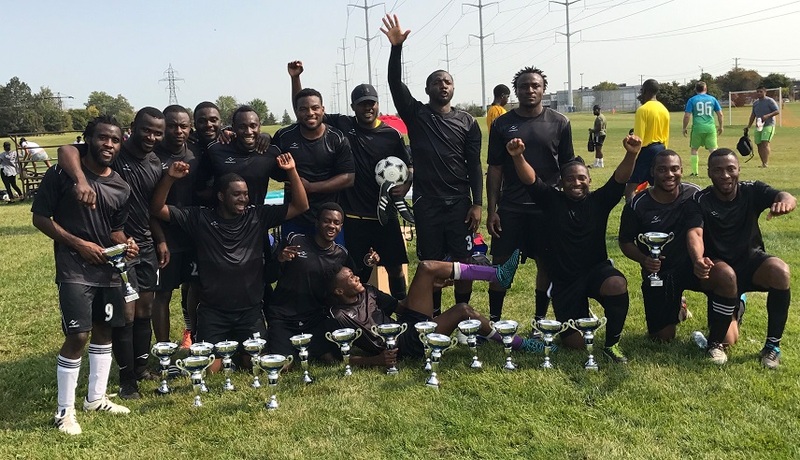 In the regular season, league newcomers Indomitable Lions were virtually unstoppable and clinched the regular season championship with one week to spare. They headed into the final week with an undefeated record but ultimately came up just short of the milestone in a close loss to the Super Eagles. On the bottom end of the table, the race for the 8th and final playoff spot was tight the last few weeks of the season, with Alianza ultimately edging out both Red Knights and Metro 08 to claim the final spot in the postseason. The race for the Golden Boot was tight all year, with 4-5 players within striking distance heading into the final couple weeks of the season. 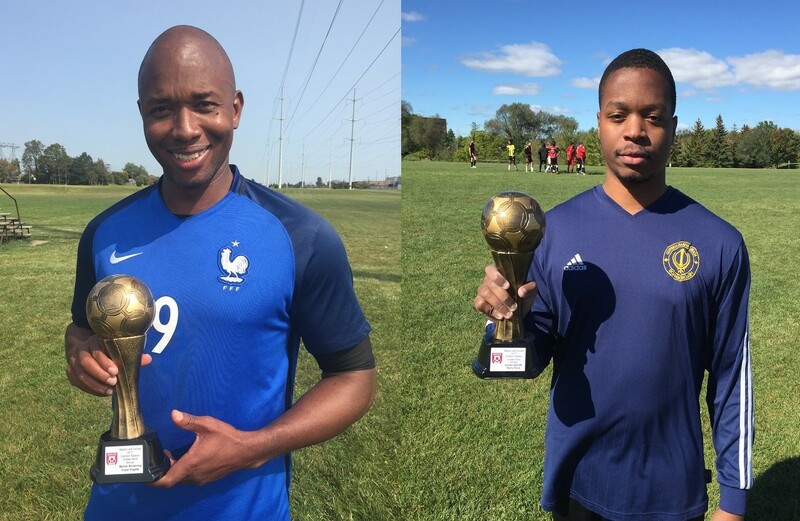 In the final week of the regular season both Marcel Browning of Super Eagles and Adrian Barriffe of Remy Boyz scored to end up with a tie for 13 goals. For Marcel it was his second year in a row winning the Golden Boot award. He’s the all-time scoring leader in the league, winning the Golden Boot a total of 7 times and 5 times in the previous 6 years. The league started recognizing Player of the Week honours in 2017, and we saw some incredible individual performances during the season. 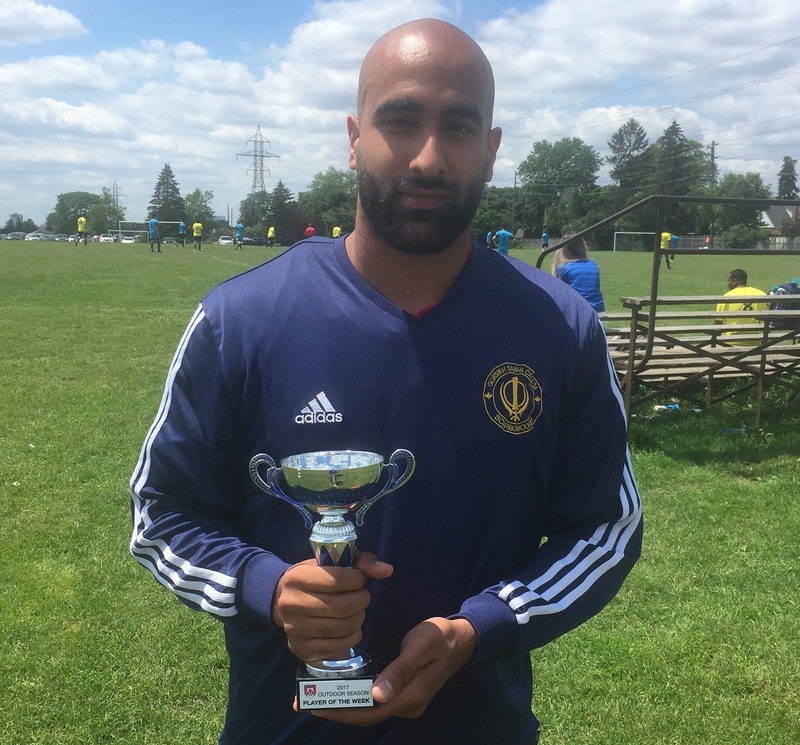 Nav Chahal from Remy Boyz was a standout player all season and was the only player to win multiple Player of the Week awards, both in Weeks 4 and 9. 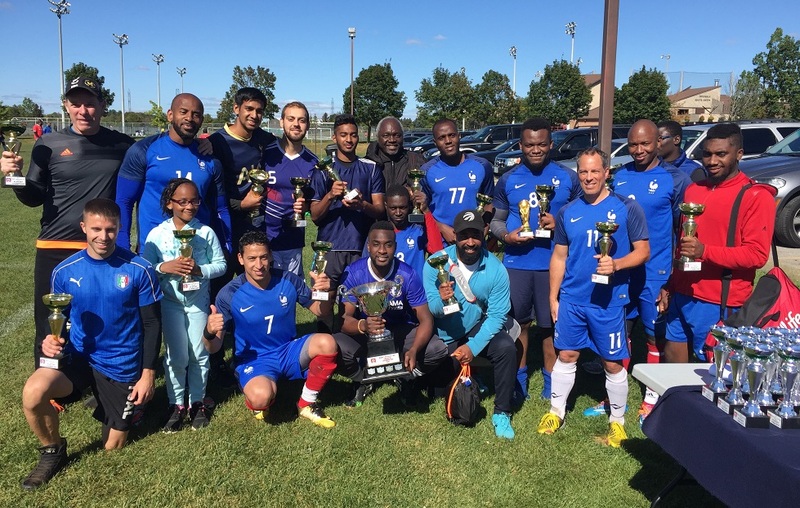 The finals were held at L’Amoreaux Park in Scarborough the last Saturday of September. 90 minutes and extra time couldn’t determine the champion, so it was up to Penalty Kicks for the second week in a row with both these teams. After a marathon 13 shooters for both sides, Super Eagles finally outlasted Remy Boyz to capture their third Maple Leaf Soccer Playoff title and first since 2014. Ben Anozie of Super Eagles was deservedly named finals MVP for his stellar defending. It was an amazing ending to a great season! !